Summer is still hanging on, but it’s Back To School time too! Looking for that one extra special fashion accessory to make the scene at your school? Be the best dressed student on your campus with official DARK VAULT OF PUBLIC DOMAIN T-Shirts. 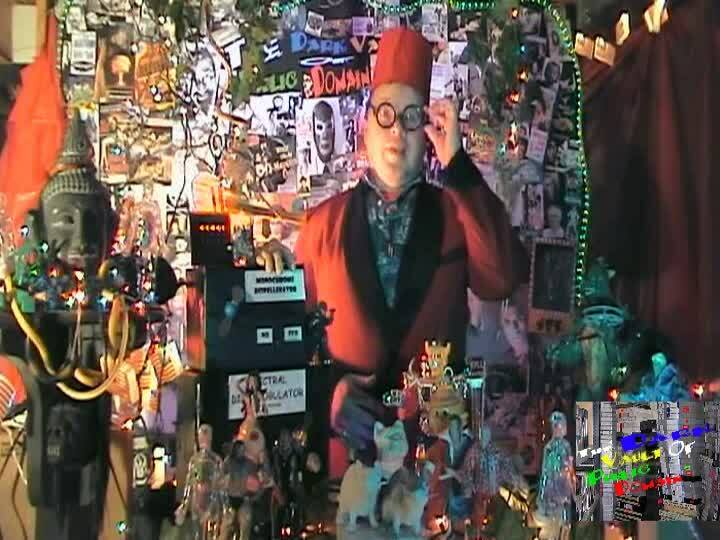 They come in two designs – Dark Vault Logo (“in glorious analog” not included) and Uncle Pete in the Vault. So far they’ve all come in black, but they come in colors too! (Let us know your preference and we’ll check). Perfect for home room, study hall, lunch, free periods, nap time, watching the Dark Vault, cruisin’ in your hot rod, skateboarding, or just hanging around and being the hit of wherever you are. You can even wear them to class (especially if your teachers are DARK VAULT fans. We’re not sure about gym, though). Available in a whole bunch of sizes from nursery school to post-graduate! 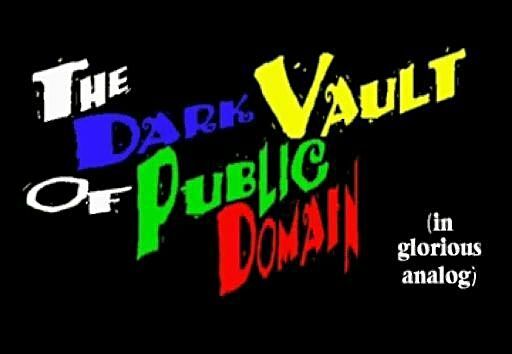 Contact Uncle Pete at unclepeteshow(at)gmail.com (don’t forget to put an @ sign in there where the (at) is) for more information and start your school year off juuuuuust right with THE DARK VAULT OF PUBLIC DOMAIN! ~ by UNCLE PETE on August 31, 2014.